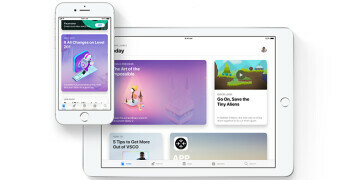 Few months after releasing the beta version of the iOS 11, Apple has started rolling out the official stable version of the iOS 11 to all eligible iPhones and iPads globally. If you have an eligible iPhone, iPad or iPod touch, then check your phone settings for the update to start enjoying the new features like the Live Photos editing, the new Control Center customizing, Emergency Mode, Do not disturbed while driving and many more. In this post I will share with you guys two different ways of updating your I device to the latest iOS 11. Just make sure you backup your device and also free up to 2gb of space for the update. OTA Update: if you have a stable WiFi network, then you can go ahead and perform an OTA update without the need for a computer. Connect your device to a power outlet, go to Settings > General > Software Update. iOS will automatically check for an update, then prompt you to download and install iOS 11. >> Make sure your iTunes is updated to version 12.7. >>Connect your iOS device to your computer amd Itunes should automatically pop up. >>Click the iPhone or iPad icon in the top-left corner of iTunes, next to the drop-down menu for the various sections of your iTunes library. >>Click on Check for Update > Download and Update. >>Follow the prompts, accept the terms, and let iTunes will complete the process. If you have any question, feel free to ask and don't forget to kindly share this post on your social media platforms.